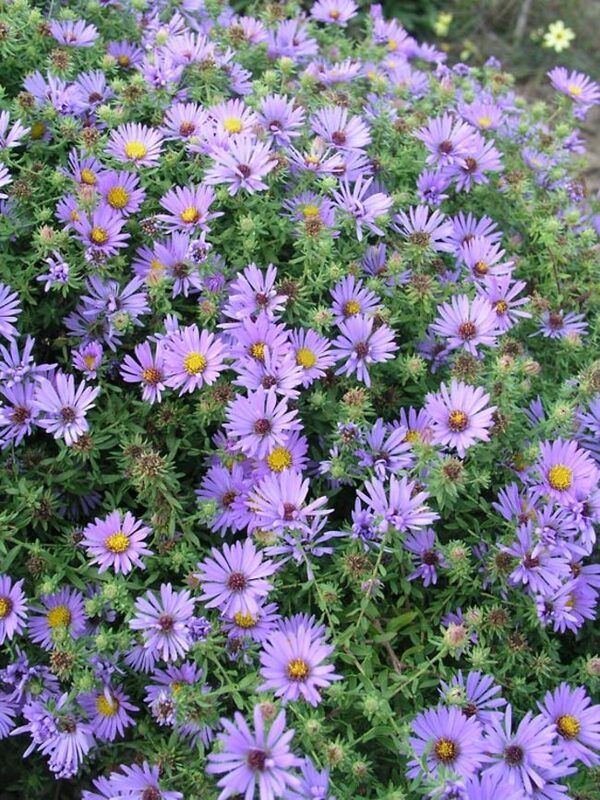 A smaller aster for drier soil with blue or purple daisy-like flowers. 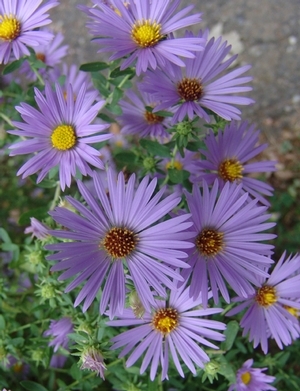 Aromatic aster is one of the last asters to bloom in the fall, providing food for bees before hibernation. Grows in drier soil, and the plant is bushy and low growing. Leaves have an aromatic smell when crushed. 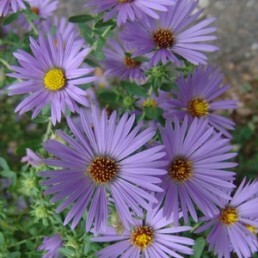 ‘October Skies’ is a shorter and denser plant than the straight species.